This hotel from the Hyatt chain is a great place for families with kids. It’s a medium size hotel of 213 rooms. 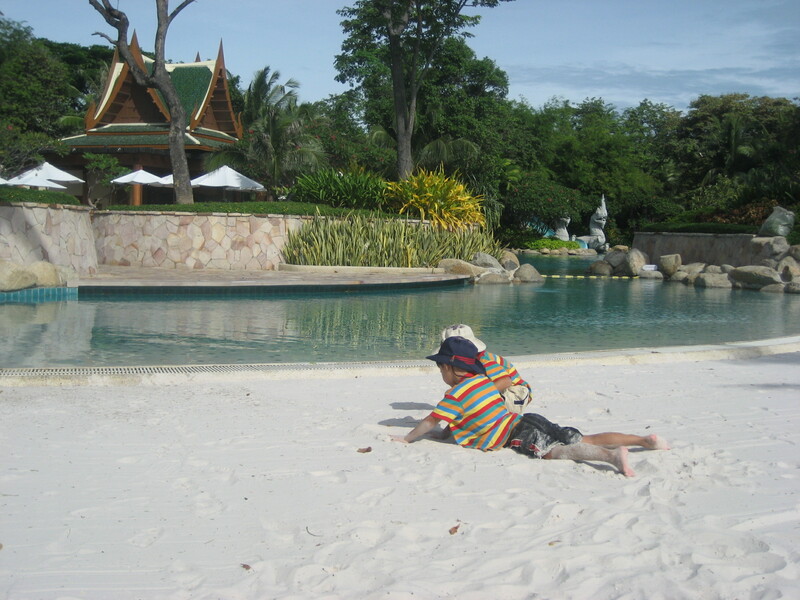 The pools here are a highlight, providing lots of space for kids to play, and varied enough that they will satisfy everyone from toddlers to young teens. The standard accommodation (King Room) is fairly straightforward, with a layout that will be familiar to travellers all over the world. Room sizes are adequate (at around 38sq m. for a standard rooms), but families should ask for ground floor rooms which offer slightly more space and make getting in and out easier. This small hotel is a great place for families with younger kids. The hotel itself is cosy, while having quite a lot of rooms. The lush gardens, with beautiful fluffy rabbits running around, and great pools, mean that it’s a wonderful and safe environment for kids. From the moment you enter this small resort, you experience a different kind of resort. It’s very cosy, even homely, and this is down in a large part to the owner, Mechai Viravaidya, a renowned social activist (and former politician). 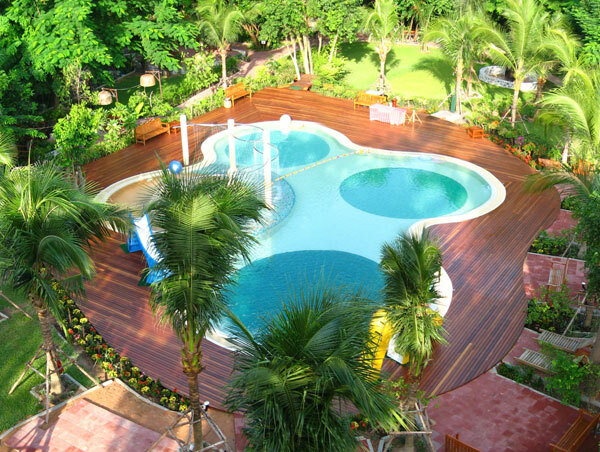 There are 2 pools, and the pick of the rooms for families are those that open onto the kids (Rainforest) pool. This hotel is a great place for adventurous kids, particularly pre-teens. 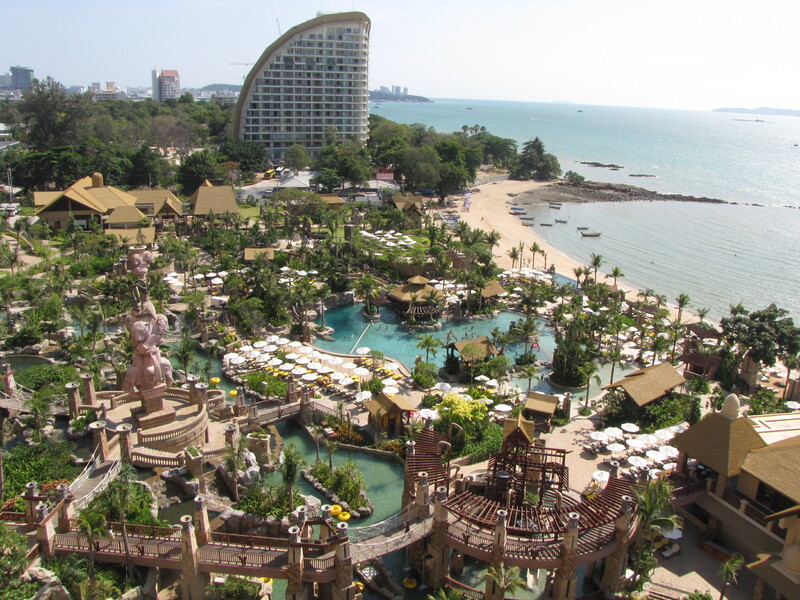 The hotel itself is huge, and this means that there is plenty of space, and more importantly, lots of pools.